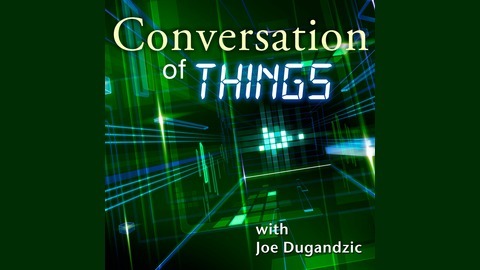 The Conversations of Things podcast series is hosted by Joe Dugandzic and features interesting guests from inside and outside the technology world, discussing everything from the smart home to general tech to all of the connected gadgets in our lives. Where is all of this technology taking us? Is it helpful or harmful in the long run? 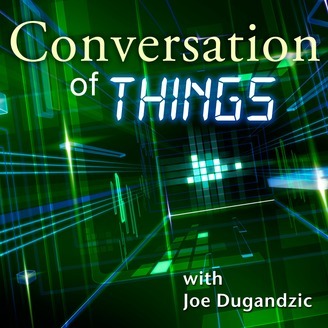 And, of course, discussions on recent tech news and the latest must-have devices. For this episode, I welcomed Yonomi Co-founder and CEO Kent Dickson to the show. (Although he actually was on Smarter Home Life about a year ago, but he's technically new to the "CoT') He shares what's new with Yonomi, and I even get him to tease a few things that are coming soon to their namesake home automation app. Also, he gives me all the connected details on Thin Cloud, their new service that gives IoT device makers a solid cloud platform on which their products and services can communicate...without breaking the bank. Plus, all about what's coming next for the smart home: Is it artificial intelligence, more buttons or perhaps helpful robots? Check out this episode in audio-only or video format below for the insightful discussion.